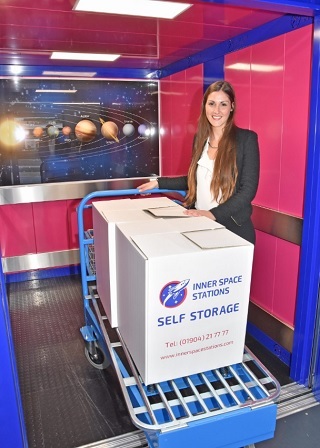 York’s Inner Space Stations Self Storage has been named ‘UK Best Facility Independent Operator’ at this year’s industry annual awards ceremony held in London recently (6 September). Hosted by television celebrity, Mark Durden-Smith, the event brought together the cream of the industry to recognise outstanding achievement. Inner Space Stations Self Storage will now go forward to compete for the additional accolade of Best European Independent Facility at the Federation of European Self Storage Associations’ Conference in Paris later this month. Top image shows Graham Kennedy MBE, managing director of Inner Space Stations Self Storage receiving his award from Neil Matthews, relationship manager at Pound Gates Group, award sponsors.